Hi Dolls. 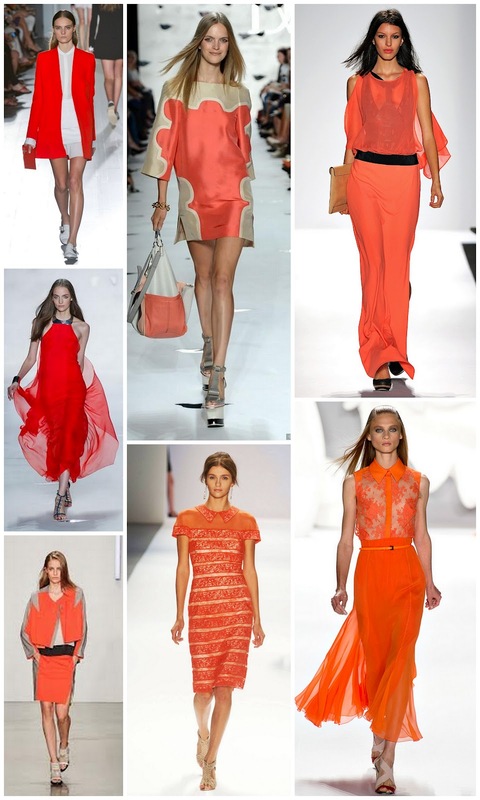 As you know fashion weeks are now happening all around the world, and I noticed that colour orange is getting more and more trendy. From Diane von Furstenberg to Carolina Herrera, everybody is using it in their new collections. That's why I decided to make this little collage. I personally don't like orange as a colour, but I have to admit it looks really good on all this outfits. So what do you think? Gotta have it or make it stop? Let me know by commenting below. Tomorrow: Monique Lhuillier S/S 2013 - my newest obsession.